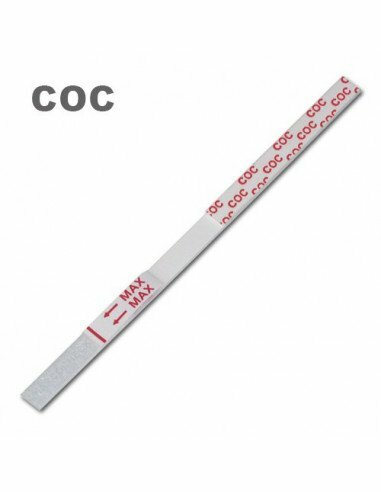 Urine test to detect the use of cocaine and its derivatives in a few minutes. Highly reliable. Results in 5 minutes. The NarcoCheck quality with direct factory-price. Made in France in our ISO 9001/13485 certified production lines. It also screens for cocain main derivatives, like crack. Only few drops of urine are needed. Dip the tip of the strip, and you will have a clear result 5 minutes. Cocaine is a powerful drug, which has a strong stimulating effect on the central nervous system. Its effects appear a few minutes after taking and last on average for half an hour. It is found in the form of a white powder. This drug is most often nasal, but it may also be smoked or injected intravenously. It is also found in the form of "crack", which is a derivative of cocaine. Beware, crack is one of the most addictive drugs! The addiction is extremely fast and appears from the first catches, so in case of doubt, react immediately: make a test! 2 to 4 days for isolated or occasional consumption. 5 to 10 days for high consumption. Up to 15-20 days for chronic consumers. 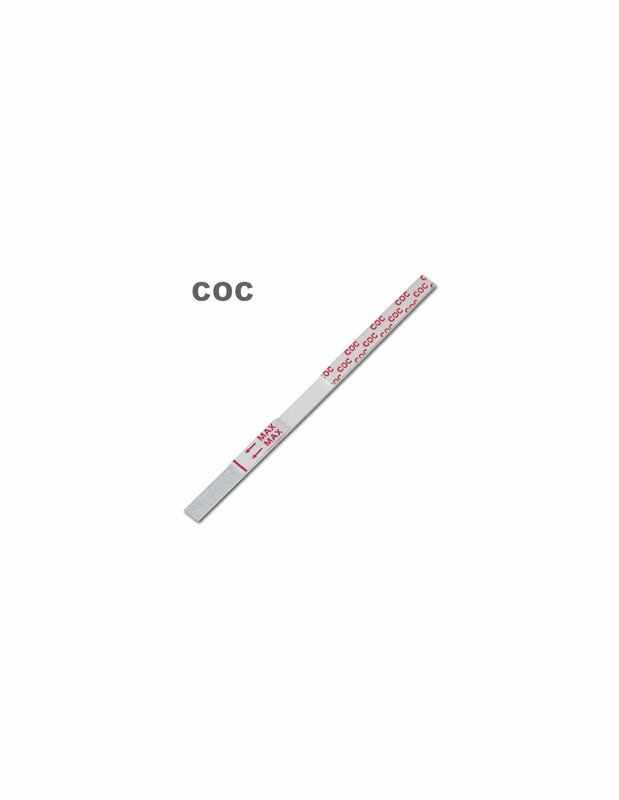 These detection periods are indicative and may vary depending on the metabolism of each individual or even the quality of the cocaine consumed. This test is also a great way run a preliminary confirmation of a mutli-drugs test that will react positively to cocaine.